His Eminence also gave a short teaching on the importance of pure vision and motivation while on pilgrimage at Bodhgaya the supreme place where Buddha attained perfect awakening. His Eminence stressed that making any offering to Buddha with pure vision and unconditionally means that all offerings are made without any personal gain in return now or in the future. Rinpoche also said that this place Bodhgaya is a holy pilgrimage site and not a holiday place. While we are here at Bodhgaya, we need to practice with genuine motivation in mind, thought and action, and of all these without any personal gain, but rather for the benefit of all sentient beings as we have often recited in our dedication prayers. Furthermore, while you physically sit in the meditative posture looking like Buddha, although the posture and appearance look conducive, if your mind is wondering with mundane thoughts or your personal agenda, or entertaining past, present and future thoughts this is also the wrong motivation. Another wrong physical action is false speech and poor speech to others when they had performed a mistake accidentally. Making judgements towards others how they dress, how they do their practices is also the wrong view and has nothing to do with yourself, rather you should take a look at yourself, and maintain yourself by checking on yourself just like looking in the mirror from time to time. 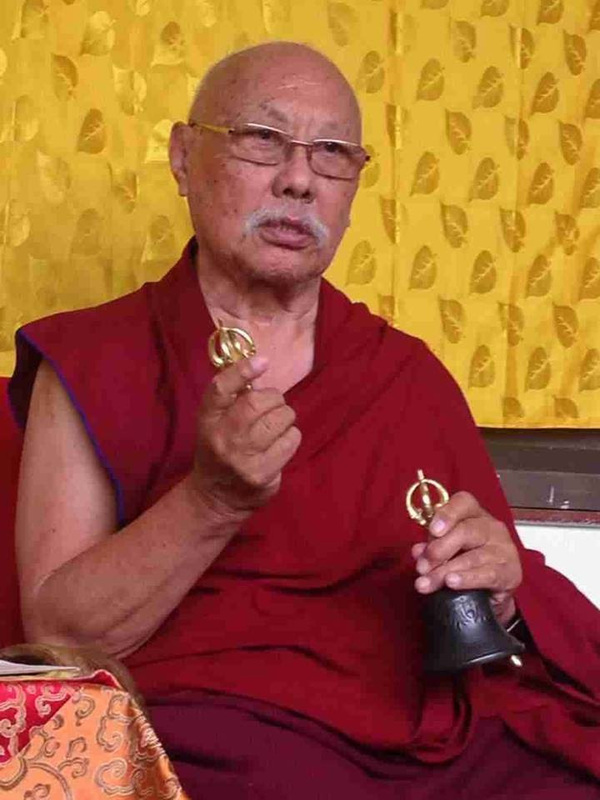 This entry was posted on 14141414, in Uncategorized and tagged Luding Khenchen, pure vision, teaching.